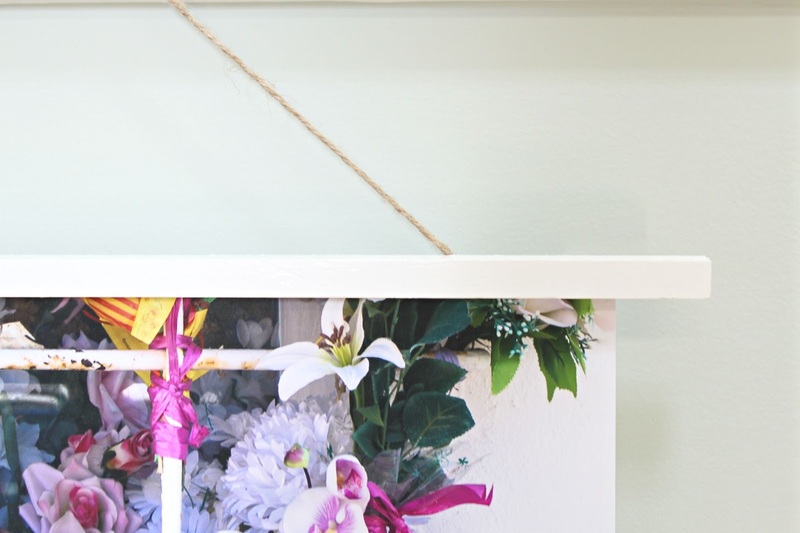 A few weeks ago, I crafted up a new DIY hanging wooden frame for a large photo print I recently ordered. 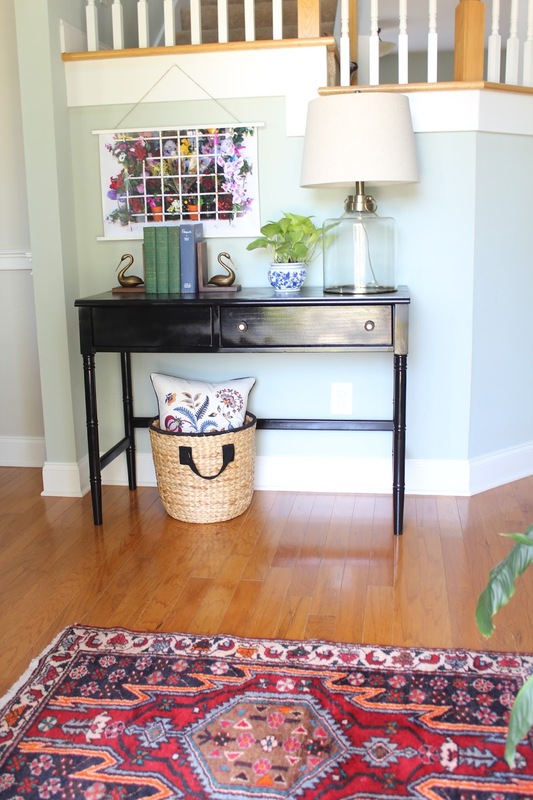 You saw the final product in my entryway refresh reveal. The photo is an untraditional size, but I didn't want to spend a lot of money on a custom traditional frame. So, I decided to make my own. After weighing a few options, I chose a hanging frame, as it lends a touch of character and almost a vintage science poster-y vibe. Here's what you need to do to complete this simple project. 1. Cut your wood strips to the length you need (or have the hardware store help you cut them!). I would measure out (on either side) a couple of inches past the width of whatever art piece you're hanging so the frame hangs past the art. 2. 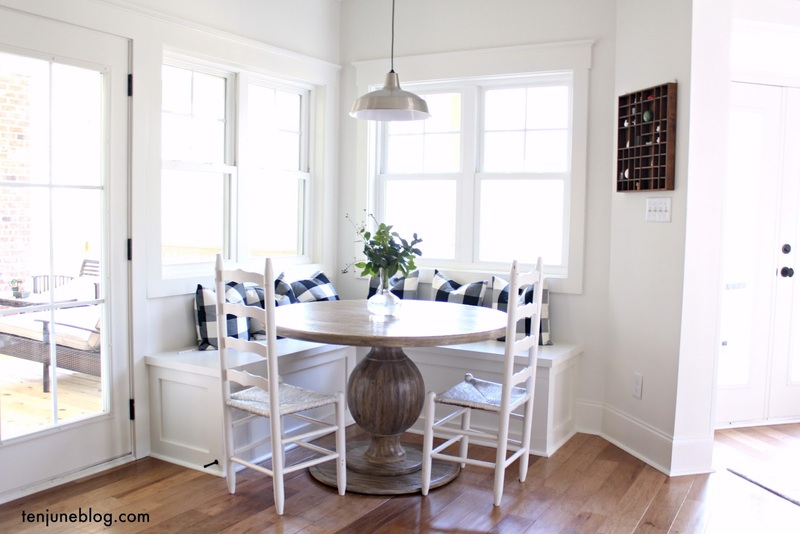 Paint or stain (or leave natural!) the wood pieces. I initially planned to stain these a nice walnut stain, but decided to just paint them white so as not to take away from the character of the piece. I really love the contrast of the faux flowers and the rusted gate in the photo and I didn't want to add another textural element to take away from that dichotomy! 3. Measure and cut your twine to create the hanging loop. Don't cut this too short or too long- you want the effect to be a tight but long enough string so it's not drooping or pulled too taut. 4. 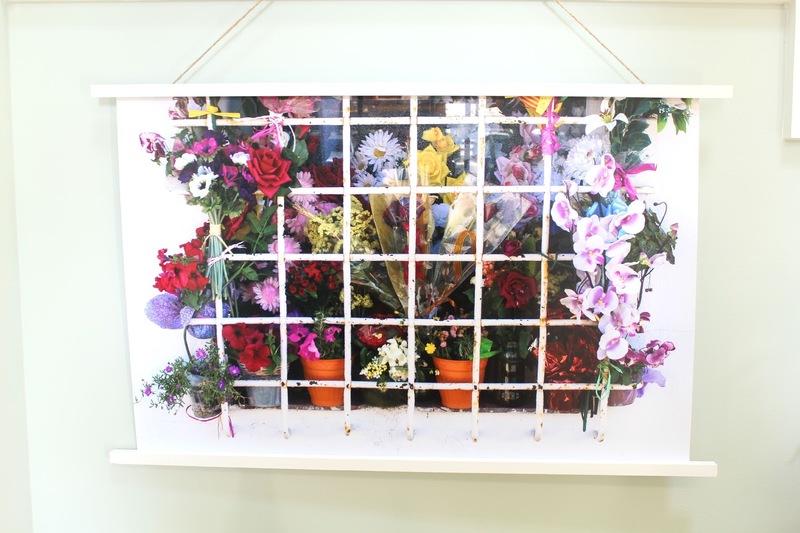 Depending on whether or not you want this frame to be permanent or temporary for this art piece, use acid-free glue (permanent) or double sided tape (temporary) to connect the art and the wood strips. Are You A City or Country Mouse?